Education: JSB School of Dance. Ballet School of Sigríður Ármann. National Ballet School of Iceland. Arts Educational School of London. Experience: Katrín was a dancer with Iceland Dance Company 1993-2011 and participated in nearly every show during her time at the company. Katrín has also danced for the National Theatre, the Icelandic Opera, Reykjavik City Theatre, BBC and the Icelandic Jazz Ballet Company. Katrín has created her own choreographies as well as choreographed for Reykjavik City Theatre, opera and music videos. She has e.g. choreographed various musicals and variety shows, like The Wizard of Oz, Treasure Island and many more. 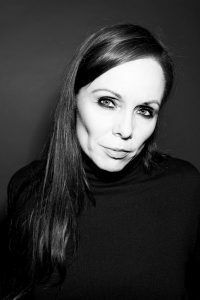 Katrín assisted the choreographer Jo Strömgren in staging the piece “Kvart” with other dance companies in both Sweden and Denmark. She also staged “Kvart” and “Grossstadtssafari”, when Iceland Dance Company performed these two pieces in New York and Stavanger in 2012. Katrin was the main trainer and adviser for the television show Dance Dance Dance in 2011 and 2012. She is one of the founders of the improv comedy group “Follow the Fun” and has worked as a project manager for Reykjavik Dance Atelier. Katrín is a Scorpio; she is ascending Lobster and loves sushi. Katrin never performs naked.